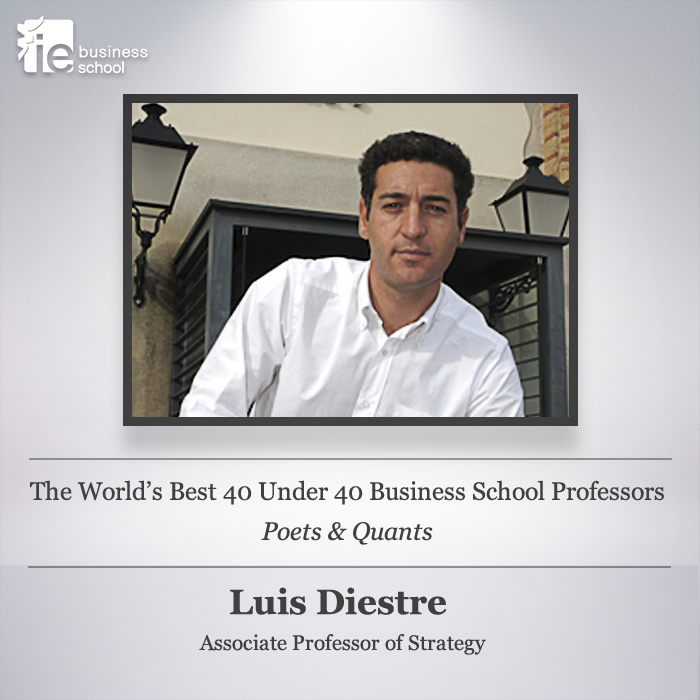 IE Business School - International MBA | Luis Diestre one of The World’s Best 40 Under 40 Business School Professors by Poets & Quants! We’re proud to announce that Associate Professor of Strategy Luis Diestre has been named one of The World’s Best 40 Under 40 Business School Professors by Poets & Quants! His students claim he stands out due to his wit, humor, knowledge and inspirational way of teaching.